Singapore imposes restrictions on the purchase of property by foreigners. These are outlined in the Residential Property Act with a view to providing Singaporeans with an equal opportunity to purchase property on the island nation at fair prices. The purchasing options for buying property are limited to foreigners in Singapore. They are not permitted to buy Housing Development Board (HDB) apartments unless they include a Singaporean citizen and form a family nucleus in the apartment that they purchase. That said, there are still many condominium developments open to foreigners to buy. Whether it is more profitable to rent or buy is a personal investment decision that depends on many factors at the time of rental/purchase. 1. Freehold Title which permits the owner to hold property forever. 2. Leasehold tenure which transfers possession of the property to the owner for the duration of the lease. Properties considered “restricted residential properties” (i.e. approval from the Minister of Law must be granted before foreigners may proceed with purchase) include all landed property. This includes the purchase of vacant land, bungalows and houses. 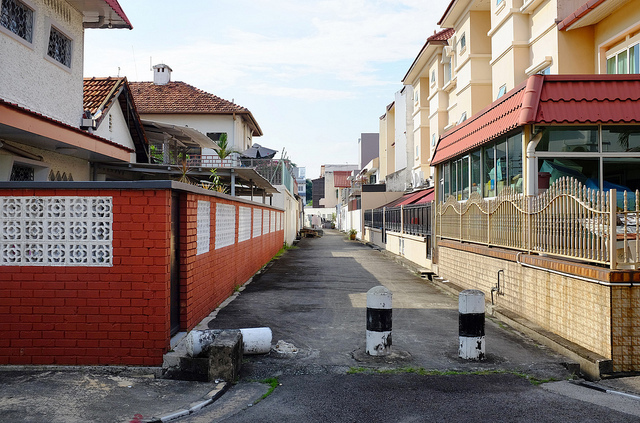 Expatriates who wish to purchase restricted residential property in Singapore can download the application form from the Singapore Land Authority website, fill it out and submit it to the Land Dealings (Approval) Unit. Singapore’s housing market continues to remain strong despite the economic turmoil in other countries. Housing prices have recently peaked, with apartments selling at prices up to S$1,332 per square foot. The limited HDB public housing supply, growth in foreign capital inflow and new aggressive immigration policies are some of the contributions to an uptrend in property prices in Singapore. You may look for a property on your own by surfing the internet classifieds on a number of sites listing properties for sale in Singapore. Alternatively you can look up the classified column in local newspapers, the Straits Times being the biggest and most widely read paper in Singapore. The best way to ensure that you get a good deal and save time and money is to hire a property agent. Agents have their finger on the pulse of the property market and have in-depth knowledge about various residential districts. Engaging an agent will free you from the hassle of dealing with the complex procedure of buying property in Singapore all by yourself. Once you like a property and have decided to buy it you must procure an option to purchase form. To get this form a payment, of 1% of the purchase price must be made to the seller who will draw up the form himself or through his agent. You will then have a period of 14 days to complete purchase. During this time you will sign the option and return it to the seller together with an amount of 4-9% of the purchase price. This may be done the other way around as well with you drawing the offer to purchase and handing it over to the seller for his signature. The next step involves getting your lawyer to draw up the Sales and Purchase Agreement. The process of finalizing the sale should take 10 weeks or so. During this period you would do well to arrange an inspection of the property to see that the property and furniture and other items mentioned in the contract are in accordance with what is stipulated in the contract. At the time of finalization all fees (legal and other costs) and the balance amount will have to be paid. The purchase procedure will be complete only when the final balance is paid and the Certificate of Title is issued to the new owner. If you opt for a mortgage then the bank will hold the Certificate of Title until the loan is paid off in full. Property tax in Singapore is levied at the rate of 10% of the annual value of the property irrespective of the use to which the property is being put. If the owner is occupying the property he is entitled to a rebate and will pay only 4% of the annual value which is calculated based on the rent attracted by properties of comparable size, value and location.